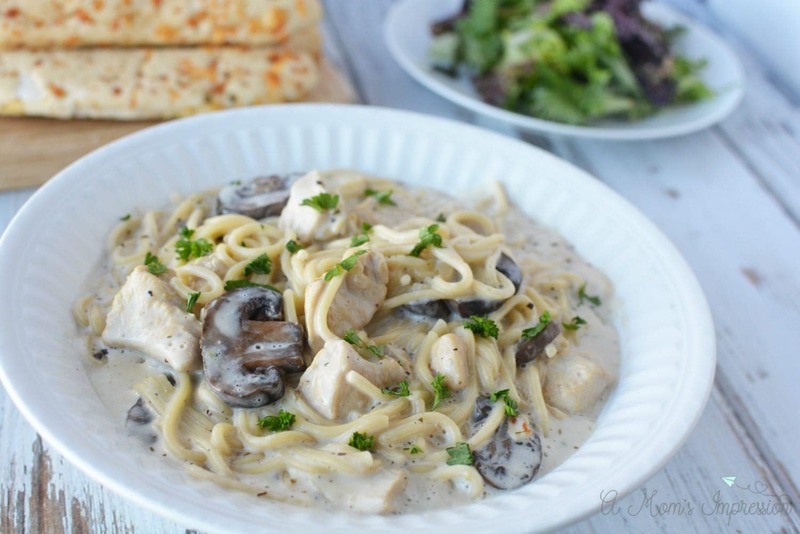 This collection of kid friendly Instant Pot recipes is perfect for busy families. I love easy dinners so naturally I try and find Instant Pot ideas that are family friendly and that the kids will actually eat. With chicken, beef, pork, pasta, and vegetable recipes, you are sure to find something that everyone can agree on. For many families like mine, the Instant Pot has revolutionized dinner time. I am now able to get food on the table quickly with little cleanup. 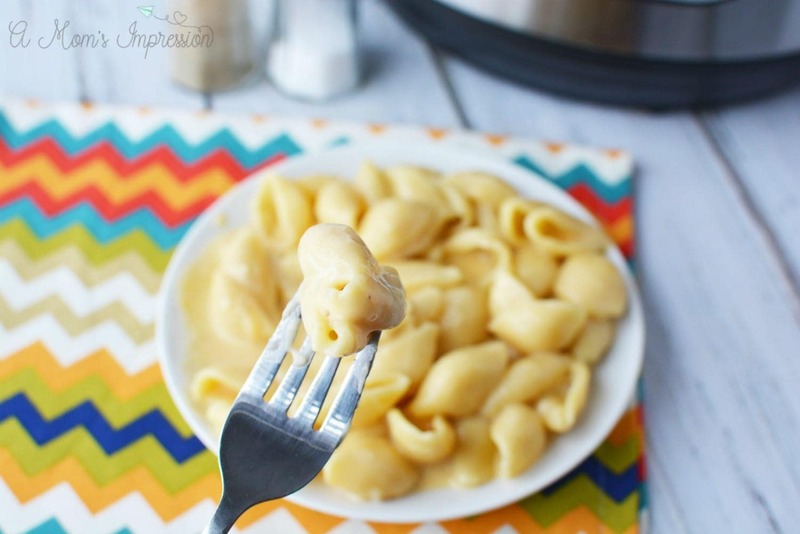 If you have picky eaters like mine, these easy Kid Friendly Instant Pot recipes are perfect! I purchased my Instant Pot electric pressure cooker over a year ago and I have never looked back. I actually purchased it for a family member as a Christmas present but later found out that he already had one so I decided to keep it instead of sending it back. Boy am I happy with that decision. Because of this happy mistake, I have cooked hundreds of kid friendly Instant Pot recipes that have been a big hit for my family. The Instant Pot is so quick and easy and perfect for busy families. Have you been properly introduced to the Instant Pot yet, it seems like everyone is talking about them these days. There is a reason that everyone is investing in this small appliance, it is perfect for busy families. 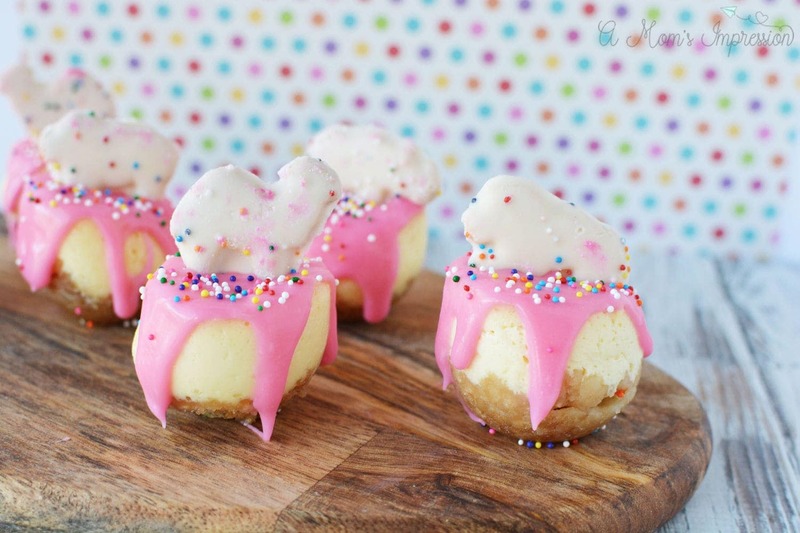 There are just so many easy Instant Pot Recipes, you can make just about anything! 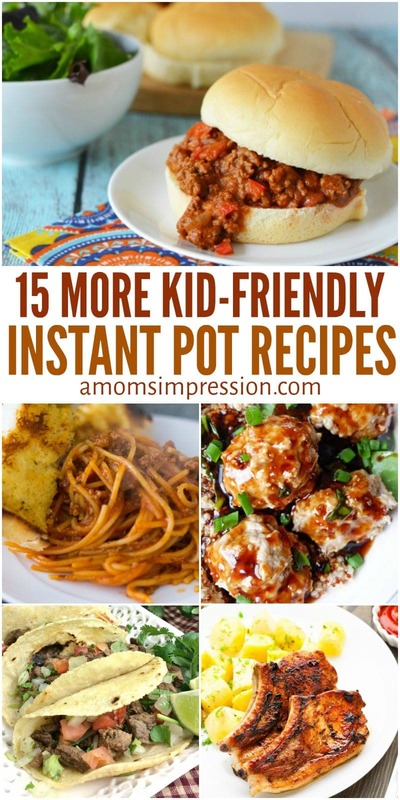 This includes a ton of easy kid friendly Instant Pot Recipes. Our guide to pressure cooking is a great resource if you are new to using a pressure cooker. 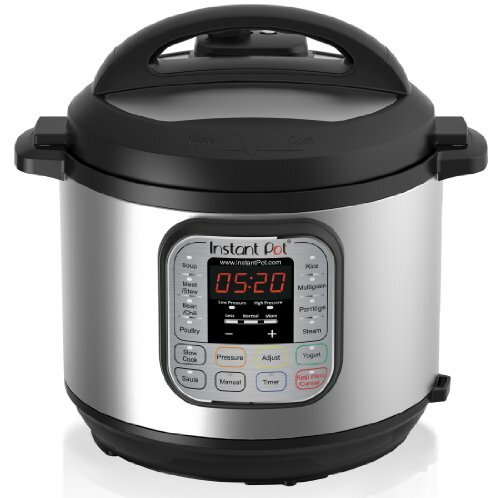 Many people call the Instant Pot the Instapot and the reason why is that your food is cooked so much quicker than the regular way. This brand of electric pressure cooker also doubles as a slow cooker and so much more. Be sure to get the right Instant Pot size for your family and you will be on your way to making family-friendly meals with little clean up! The model that I purchased even has a yogurt making setting where we can make our own homemade yogurt! Busy parents should really consider investing in an Instant Pot in their life. 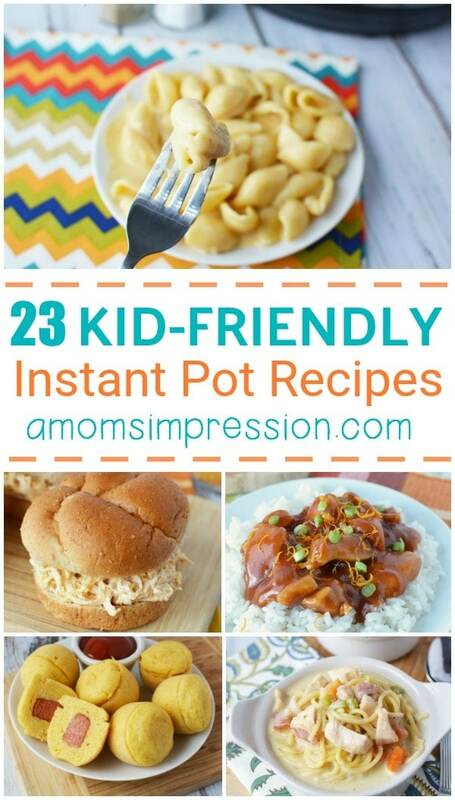 There are so many kid friendly Instant Pot recipes that can make your meals so much easier. 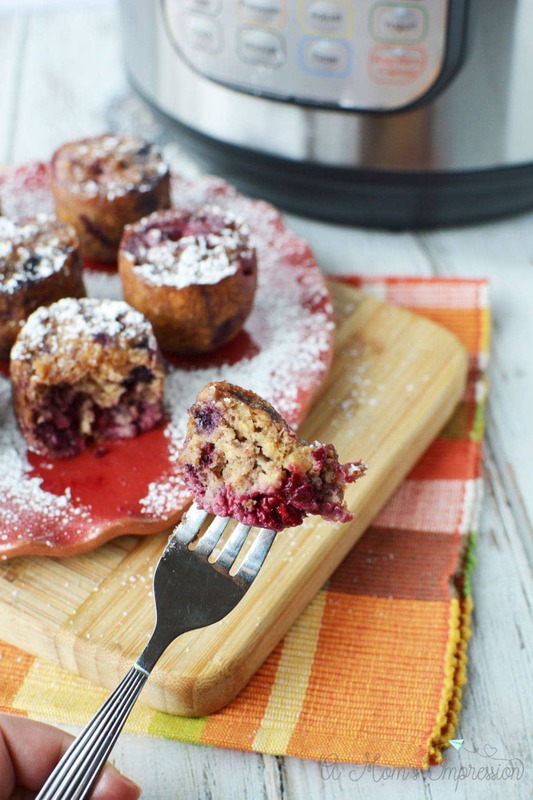 You can make everything from breakfast to dessert in the Instant Pot. I collected a few of my favorite kid friendly Instant Pot recipes together to help with meal planning and so you can get an idea of all the tasty meals you can make in your pressure cooker. 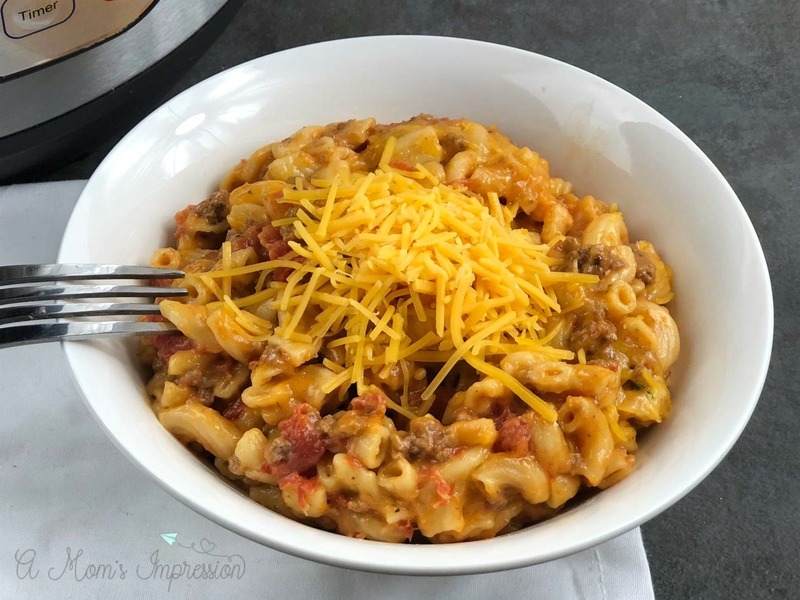 This collection of recipes has become one of my most popular collections on the site and so I made a follow-up collection of family-friendly Instant Pot meals. 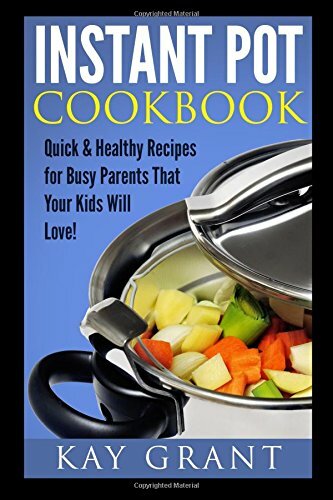 If you are looking for even more kid friendly Instant Pot ideas, consider purchasing this cookbook by Kay Grant. It is practical and full of great ideas for your family. 24. I also made this Instant Pot Italian Wedding Soup that the kids loved! 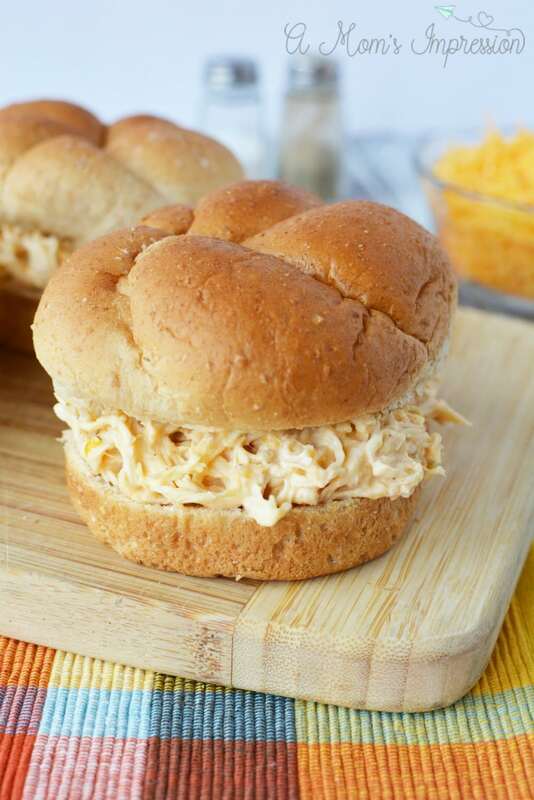 These Kid Friendly Instant Pot recipes have been so popular that we continued the series with more kid-friendly Instant Pot Recipes and Lunchbox Friendly Instant Pot Recipes. Be sure to check out our new list of favorites! 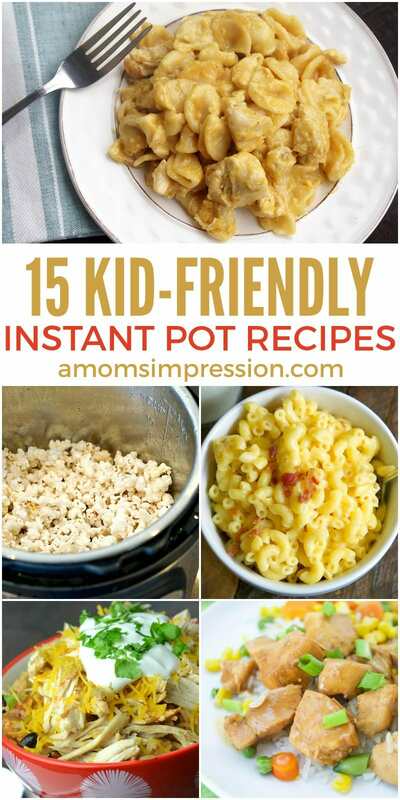 If you liked these Kid-Friendly Instant Pot recipes be sure to visit our other Instapot recipe collections. For more specific diets check out these Paleo Instapot recipes, my collection of 18 Delicious Instant Pot Dinner Ideas and our Instant Pot Lunch Ideas. 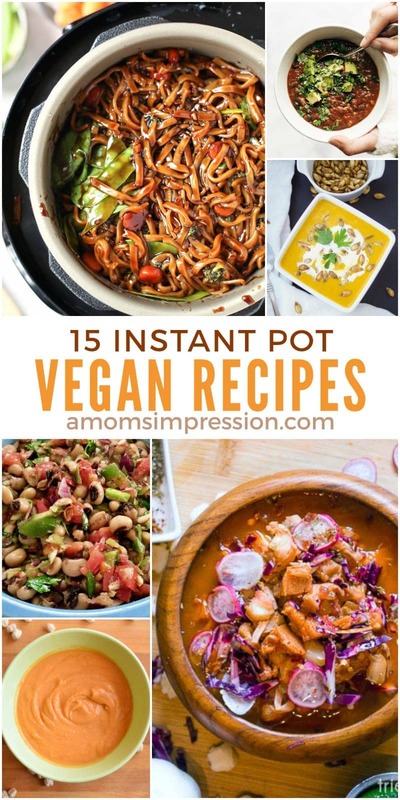 If you are looking for some great Vegetarian dishes be sure to check out our favorite Vegetarian Instant Pot Recipes and Vegan Instant Pot Recipes.